Dealing with the IRS and paying taxes makes many people feel anxious. Small business owners want to focus on serving their clients, but many are uncertain when it comes to the intricacies of the tax law or how to structure their business to reduce their tax liability. Our goal at Anthis & Thomson, CPAs is to Make Life Less Taxing. We are a full-service accounting firm located in Northwest Houston. Our focus is small businesses and their owners. We are experienced and knowledgeable of the tax laws and the interpretations of those laws. Whether your tax needs are simple or complex, personal or business, our firm can help by making recommendations for tax saving strategies. We can contact the appropriate government agencies to form your business entities. Thereafter we can assist in setting up accounting systems for new or expanding businesses. We like to meet face-to-face with clients while we prepare their tax returns. This gives us opportunities to ask questions and give sound professional advice without playing ‘phone tag’. In most cases, clients are able to go home with a completed tax return within a 2 hour appointment and they are done for the year! We provide our clients with access to a full range of accounting, financial coaching, tax and financial planning, management advisory and financial services. We custom-tailor our service goals to our clients' needs to promote business growth and development. 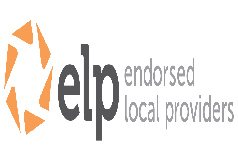 Our staff have demonstrated professional competency by meeting high educational standards for the accounting profession, passing a rigid nationally uniform examination and meeting State licensing and continuing education requirements. We are dedicated to personalized service. 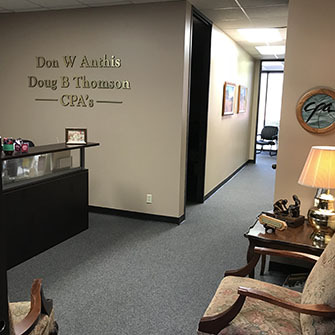 © 2019 Don W. Anthis, CPA | Douglas B. Thomson, CPA All Rights Reserved.